Spring showers may bring flowers as the saying goes, but it can also bring unwanted water into your home. Fortunately, with these home tips, you can use the transition from winter to spring to assess your home from top to bottom and stay dry this spring. Spring showers may bring flowers as the saying goes, but it can also bring unwanted water into your home, and that’s something that will put a damper on even the nicest day. Fortunately, with these home tips you can use the transition from winter to assess your home from top to bottom, and get moisture under control, before a problem starts. Maintaining your roof as an annual activity is essential to ensuring it continues to keep you warm and dry, and if you own a pair of binoculars or a camera with a good zoom, you can likely check your roof without having to climb to great heights to get the job done. 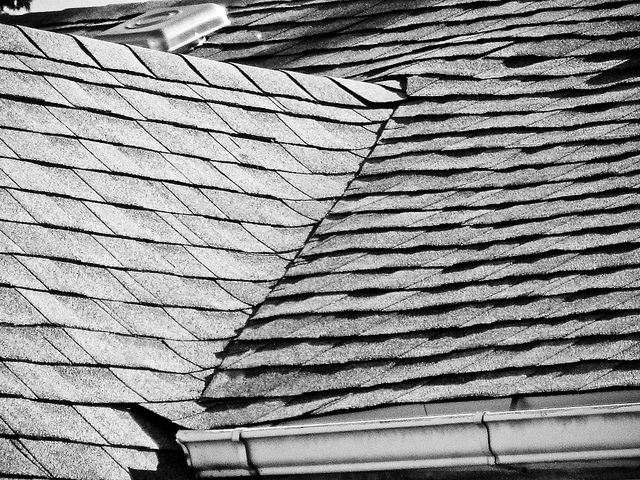 Look for shingles that are curled, buckling, or missing. Rust spots or missing caulk around roof flashing or on the underside of roof overhangs could also indicate a water penetration issue. In most cases, roof caulk, and a hammer can help you solve the problem yourself; however, roofing professionals can also make the repairs without having to replace the entire roof. If you notice large patches of moss growing on the shingles, remove them with a broom and spray with an anti-fungal agent designed for roofs. If any of the signs above is accompanied by staining, peeling, or moisture in interior ceilings, call a professional to have the situation assessed. Take a moment while spring-cleaning the windows to check the caulking for areas that have cracked, dried-out, or shrunk. An easy fix to make, simply scrape off the old caulk and replace it with new — just be sure that the weather is warm enough for the caulk to set — anywhere above 40 degrees Fahrenheit. Don’t forget to replace any worn out weather stripping on doors and windows to protect against drafts and leaks while you’re at it. If your home has wooden window frames, ensure the paint is intact and hasn’t exposed the raw wood underneath. An annual coat of paint can help protect the wood, and if any signs of rot appear, don’t panic. The bad wood can be removed and replaced with new, or scraped out and filled with a paintable compound to avoid having to replace the entire window. 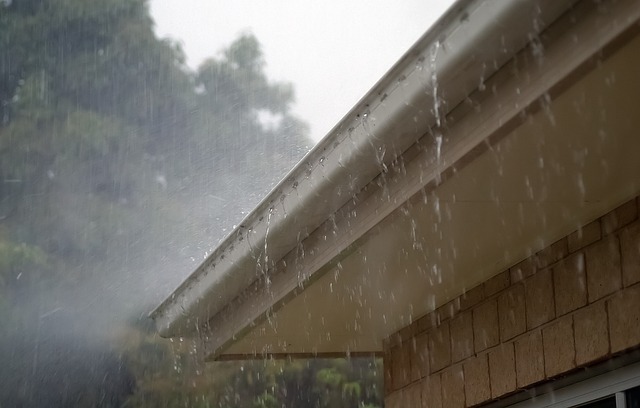 The easiest way to stop water from pooling around your foundation is to clean the gutters and extend downspouts away from the base of the house. While clearing out gutters, check for an abundance of asphalt grit that may also indicate it’s time for your roof to be replaced. Downspout extenders can be found at any hardware store, and can easily be tipped out of the way or removed for mowing the lawn. The next best way to direct water away is to ensure your yard doesn’t slope towards the house. A load of topsoil, some grass seed, and a rake to change the slope around your home is a great spring project that will offer a long-term solution. If you have a basement, check the interior for cracks wider than one-quarter inch, discoloration on foundation walls, or areas of dampness in the insulation. If your basement is finished, a dampness meter placed against the drywall can pick up any areas of concern. On the exterior, check for cracks and staining that sink deep into the foundation and consider filling with hydraulic cement or other bondable crack filler. Using these home tips to check your home now for problem areas will make sure you can look forward to the beautiful spring weather that’s on the way, rather than dreading the thaw.